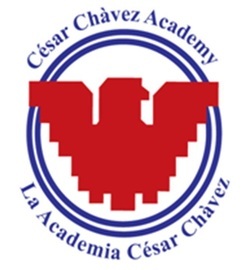 Cesar Chavez Academy in southwest Detroit received an "A" on the Mackinac Center for Public Policy’s high school report card and was the second-highest rated high school in the state. Yet this month, the Michigan Education Association used a study to claim Cesar Chavez Academy is failing and should not be allowed to expand. How is there such a discrepancy? The study the MEA trumpets was done by The Education Trust-Midwest and cites 2012 Michigan Education Assessment Program (MEAP) scores as the reason for Cesar Chavez Academy's reported failings. The press release on the study states: "At Leona’s Cesar Chavez Academy in Southwest Detroit, students performed worse than Detroit Public Schools (DPS) in reading on the 2012 MEAP. Chavez students, 92% Hispanic, performed worse than DPS Hispanic students by nearly four percentage points in reading. Despite these numbers, Leona was approved to open another K-5 Cesar Chavez campus in Detroit that will enroll 300 students." The study didn't take into consideration that charter campuses like Cesar Chavez take on students who are "disproportionally from circumstances of poverty, abuse and neglect and serve high percentages of children from low-income families," a Leona Group press release said. The Center for Michigan used a ranking system that measure a school's test scores adjusted for student family income. Bridge, the magazine of the Center for Michigan, wrote: "To a frustrating level, school test scores are a function of the socioeconomic status of the children who walk through the doors. It's not a coincidence that some of the school districts with highest raw test scores (Bloomfield Hills, Okemos, Forest Hills) are in wealthy communities, or that struggling school districts (such as Detroit, Flint and Saginaw) are in poor ones." John Bebow, president of the Center for Michigan, said his organization's rankings of Cesar Chavez speak for itself and he referred to the methodology used for anyone with questions. The Mackinac Center study adjusted "students' average standardized test scores to account for disparities in the socioeconomic status of their student populations." Michael Van Beek, education policy director at the Mackinac Center for Public Policy, said Cesar Chavez Academy grades out well once demographics such as family income are considered. He questioned how insightful a report would be that just looked at test scores. "It's about as useful as saying that the average Bloomfield Hills school does better than the Detroit schools," Van Beek said. "Everybody knows that and everybody knows why." The Leona Group said the Education Trust-Midwest study was "grossly irresponsible and misleading." The group cited statistics it gathered that said the upper elementary and middle schools have minority populations above 95 percent and more than 96 percent of those students live at or below the poverty level. Additionally, the group said, the Cesar Chavez schools did better than most other schools within a 3-mile radius and with a minority population of 70 percent or more on the 2012 MEAP. Sixty percent of the charter schools' students are learning English as a second language. "School improvement planning at the school most certainly addresses ways to ensure students for whom English is a second language test proficient. To characterize an entire district based on this point is irresponsible and fails to account for the tremendous growth these students are achieving — individually and collectively," the Leona Group said in press release. David Zeman, communications director for the Education Trust-Midwest, and the MEA's Spokespeople Nancy Knight and Eleanor Mustafa didn't respond to requests for comment.